Everything breaks at some point, it’s inevitable. And not everyone knows what to do in such situations. We’ve listed below the components that are most likely to need attention during their lifespan. 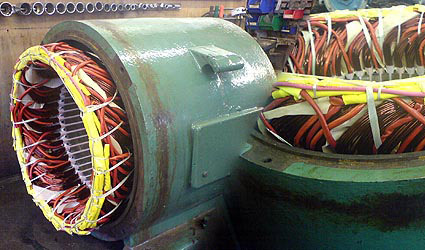 If your equipment is noisy, vibrating, basically not performing as it should, it’s time to give us a call as it’s likely it needs repairing or replacing. So take a scroll through our repairs pages to find what you need. If you can’t find what you’re looking for, just ask. We follow up every inspection that takes place in our workshop with recommendations, to help your equipment perform at its best. This can be an overhaul, a repair or, worst case scenario, a replacement. But that’s not all bad. You probably love shiny new equipment just as much as we do! Once you have accepted our quote, we can begin the work. You’ll be informed and updated as the project progresses, and completion dates for the work will be given. This list is not exhaustive. If you can’t see what you need, contact us as the chances are we can help. We will always explore the simple solutions before we dismantle your equipment. If at the inspection stage, it becomes apparent that disassembly is necessary, a small charge will be incurred. However, once a quote is drawn up and accepted, this cost will be deducted from the final figure. Our main aim is to ensure our outcomes are cost-effective for our customers. We will, therefore, discuss with you which is more economically viable – repair or replacement – with complete transparency and honesty. If you love to get your hands dirty then by all means do. Just use our expertise to find and supply the right parts, saving you valuable time. Or, if you’d rather leave the whole project in our capable hands, then that’s what we’re here for and we’re more than happy to help. Don’t forget to book your regular maintenance schedule with us. Getting to you couldn’t be easier from our centralised base near Farnborough. It allows easy access across outer North West London, and across the South West to the South East of England. Our successful business has been built on our exceptional customer service, and we really are just a phone call away.